Your enthusiasm, music gifts, and ability to connect with our youngest members is remarkable, and it’s always a pleasure to host you! …sincerest thanks from The Arc’s Recreation Department for your enthusiasm and talent during your music program for our 2013, Spring Break Camp. [Noam] is a wonderful teacher. He truly connects with the children in my class in a creative, sensitive and exciting way. Thank you very much for donating your time and enormous talents yesterday at the Earth Day celebration. It was such fun to see you (and your son) in action with all the children; what a knack you have for getting them and the families involved. Your songs and activities were great! Mr. Noam has been successful in generating enthusiasm and a desire for involvement in playing music. 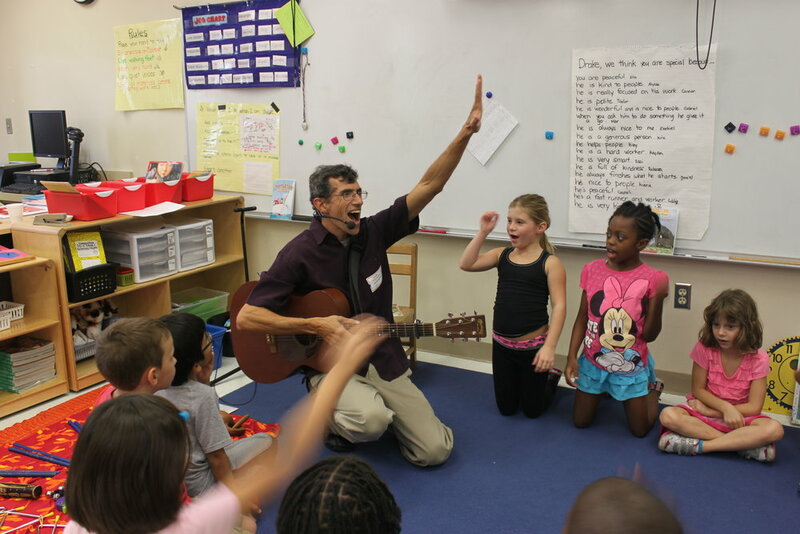 The children have been eager to learn new songs; to sing and play songs of traditional American flavor, as well as multicultural songs with relevant and meaningful content. He tailored his program to fit our seasonal curriculum and specific themes of the year.